Beyond the cruise and the group tour lies Great Alaska. Dedicated to providing the kind of unique wilderness experience you’ve only read about in Jack London novels, Great Alaska presents guests with the spirit of the great northwest through an array of adventures that starts the moment they set foot in Alaska. The journey begins with an exhilarating 35-minute float-plane flight through the Alaskan mountain range straight to the shore of the Fort Hood lodge. Featuring beachfront fourplexes complete with fireplaces and decks that overlook the river, this is a place where you can watch moose graze beneath your window as you sip your coffee. From then on, it’s one natural wonder after another. One of Great Alaska’s most exciting offerings is Bear Camp. This photographer’s mecca features several bear viewing locations where you can watch the females at play with their cubs. The drama unfolds when the male bears intrude – you’ve heard of mama bears protecting their young, but you’ve never seen it like this before. It’s the Discovery Channel come to life. 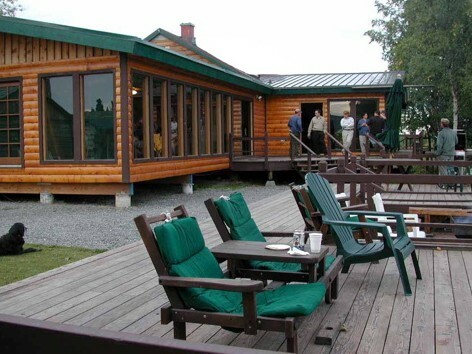 Filled with memorable impressions, you return to the lodge, where a big fire awaits you on the bank of the Kenai River. Here you can learn to fly fish, then bake the fresh catch, sing campfire songs and toast s’mores until bedtime. The next day brings still more adventures. You might take a rafting trip on one of the top 20 whitewater runs in the world; maybe you’ll hike or go mountain biking, or hop on a boat and head for the fjords, where you’ll come face to face with the full range of Alaska’s wild and marine life. Amazing sights lie around every bend, from otters, sea lions and rookeries, to the humpbacks and killer whales that swim alongside you, to the unforgettable spectacle of a calving glacier. And this is just the beginning. 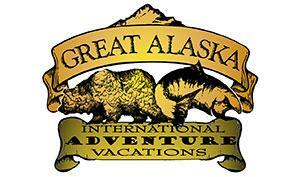 After 30 years in business, Great Alaska has amassed the widest offering of experiences available under the Alaskan sun. Scenic rafting, sports fishing, sea kayaking, glacier hiking, gold panning – whatever your “perfect trip” is, they can create it. If you’d prefer something more tropical, Great Alaska also has properties on the Caribbean coast of Costa Rica, and on Mexico’s Yucatan Peninsula, both fantastic destinations for sport fishing and wildlife viewing.